If there is one New Year’s Resolution we should all have, it is to treat ourselves well. For many of us, this is easier said than done. We may start each year with the best intentions, but work and familial obligations have a way of running away with us; before we know it, it’s already Thanksgiving again. Months can pass without a relaxing, unscheduled, afternoon. Sometimes, the best way to ensure having unscheduled time for yourself throughout the year is to schedule it far in advance. It may be ironic, but it is also true. We schedule play dates for our children, so why not plan play time for ourselves? You can be here in 2012. We are currently accepting reservations for our Chincoteague Island Bed and Breakfast in the spring. We open for the season on Friday, February 10, 2012. In just over a month, you can be walking on the beach, paddling by the wild ponies of Assateague Island, and reading a good book by the fire. 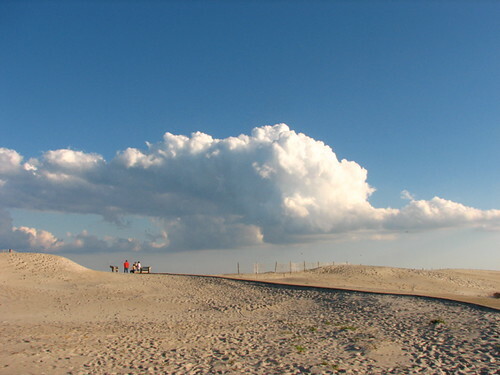 Our Chincoteague Island Bed and Breakfast is close to many major metropolitan areas. We’re three and a half hours from Richmond, Virginia, Washington, DC, and Baltimore, Maryland. We’re less than three hours from Annapolis, Maryland, and about two hours from Norfolk, Virginia. Our close proximity allows for frequent visits throughout the year. Our charming, peaceful location inspires visitors to return again and again. Sea breezes disperse worries; beach walks soothe the soul. Come to Chincoteague Island for rest and to play. Explore neighboring Assateague Island, where the wild ponies run free. Borrow a bike, pack a picnic, and go for a long ride up and down Virginia’s Eastern Shore. Bring a good book, your journal, or your knitting and make yourself at home in our luxuriously comfortable Chincoteague Island Bed and Breakfast. It doesn’t really matter what you do, so long as you leave your laptop at home and turn off your cell phone. We are currently offering a Spring Special at our Chincoteague Island Bed and Breakfast: stay three nights for the price of two, four nights for the cost of three, and so on. Give yourself a gift this New Year, and plan your spring vacation now.